I put the pronunciation and meaning of “TWRC” at the top right of the blog rather than in the first line of each post. By reading blog posts on Google Reader, I realized the importance of the first sentence–it often helps me decide whether to read the post, or mark it as read. Currently, I subscribe to 150 feeds in Google Reader so reading every single post is impossible with so many other things to do. That reminds me; I also spent a lot of time reading all the older posts of the first blogs to which I subscribed. After subscribing to many more, I realized this was not very practical because some blogs have been around for several years. Now when I subscribe to new blogs, I usually scan the blogger’s recent post titles and first sentences looking for those that really catch my interest. I want my readers to be able to do the same. For a long time, I could not get the PostRank plugin to work. I finally found out where to get help, so it works now. Yay! PostRank uses some kind of formula to determine which of your posts are most popular. Looking at their selections, I would have to agree that they are the most popular, but not necessarily my favorites. While I was in Texas, the accomplished high school graduate looked at my blog and gave me a lot of great feedback. One idea was to make my posts show up as summaries, rather than full posts. I still have not figured out how to do this on the blog, but I figured out how to do it in my feed (what shows up in Google Reader) and did so. Then, while using Google Reader, I realized I do not like when bloggers do this, so I changed it back. 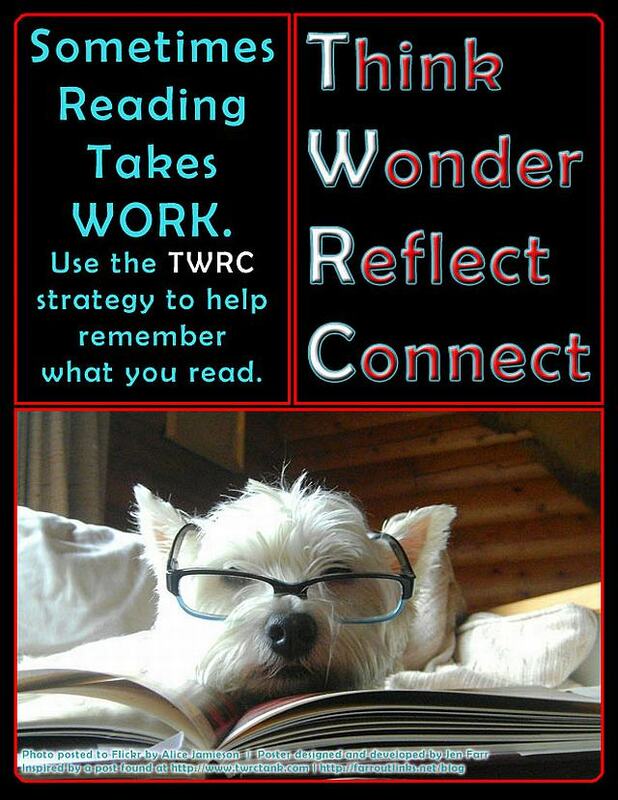 I will eventually get around to figuring out how to make my blog posts appear as summaries when you log onto www.TWRCtank.com. Why? Because my posts are typically long. If people are not interested in reading every single post, they are forced to do a lot of unnecessary scrolling the way it is set up now. I would love to hear what you think about this. I really want people to be able to find what they are looking for when they stop by, so I felt I needed to clean up my categories and tags in case my readers would like to search that way. I spent a lot of time doing this and am pretty happy with it in general. However, I probably should list people by last name first. If you have a minute or two, I would love it if you tooked at them to see if you think they are helpful or if you have any ideas on how I can make them even more user friendly. I renamed them as “Blog Post Table of Contents” and “Blog Post Index.” and they use drop-down menus rather than tag clouds. I think drop-down menus look cleaner than tag clouds, but I am sure this is a personal choice. On the other hand, if you do not click on the upside down arrow of the drop-down menu, you will never see all the tags like you would in a tag cloud. There are pros and cons to everything, aren’t there? Here is a quick poll about categories and tags. I wonder what you think. I changed the way recent comments display on the blog, but I am on the fence about them. I am so appreciative of the people who take the time to comment on this blog and I want to display their hard work. I also know that by reading comment snippets on other blogs, I am sometimes so intrigued I have to read the post that inspired the comment. Since this is a scrolling comment plugin, more comments can be displayed. On the other hand, the fact that it is scrolling can be distracting. I also wish the commenter’s name displayed differently. What do you think? I decided to try a poll of the week in the sidebars. So far, it has not received that many votes, so maybe it should be a bi-monthly poll. On the other hand, it could just be the topic of the poll–my external link category area. I am definitely TWRCing on how to use this feature to make this blog a true TWRCtank. Several people asked me to write guest posts. Maggie Cary from ClassroomTalk published my first one. You can find it here, “What Good Readers Do.” Actually, it is a shortened version of a post I wrote on April 7, 2010, “That Is Some List!” Currently, that post is my second highest rated one according to PostRank. I’ve also added several new links to the “External Link Categories” area in the sidebars. I think I am going to start a mailing list to keep readers updated on new additions. This means I will have to keep better track, doesn’t it? How do I choose what to add? It is mostly random. I add them when something I read reminds me of them, or as I discover them–often via my Twitter PLN. Are there any resources for teaching reading that you think I should add immediately? After seeing the LinkWithin plugin on some blogs, I thought I would install it on mine, too. What does it do? It is supposed to display links to blog posts with similar content so readers can discover your older blog posts. How does it display? Below each post, it says, “You might also like:” and then displays a thumbnail image from the post, along with the post’s title. I really like the thumbnail images. Sadly, many of my posts did not include images, so I spent a lot of time adding them. Unfortunately, I did not optimize them, so I think they are slowing down the loading time of my blog. In addition, the images I added to my older posts do not appear. I thought it might just take time, but they are still not displaying properly. After a while, I emailed the plugin creator. They have not responded. It is a free plugin, so I really cannot complain. What do you think of the LinkWithin feature? Have you ever noticed it on other people’s blogs? If so, do you ever click on the links to read their older content? If you are a blogger, do you use a similar plugin? How do you optimize your photos for use on the Internet? I do not have PhotoShop and cannot afford to buy it. I have heard about Gimp, but the first thing I read about was a nasty bug they had, so I hesitate in using it. After David Boulton, co-producer and creator of the very resourceful www.childrenofthecode.org, left a comment and shared a great video with me, I decided to create a YouTube channel for “Resources for Teaching Reading” (aka the TWRCtank) in order to share videos I mark as favorites. Having my own YouTube channel reminds me of using Google Reader (which I love). I think it’s a great way to save and organize favorite things. Unlike my Google Reader, I can share my YouTube channel with everyone. I do hope it will become an important part of this blog and a great way to share TWRCs. On the negative side, it doesn’t look like you can attach comments to videos you mark as favorites. You can leave a comment on the original poster’s channel, but it will not be prominent in your own channel. You can also leave comments on the channel itself, but they are not connected to a specific video. Why does that matter? I would love to include some videos in my channel not because I love them, but because I disagree with them. It would be great to be able to let subscribers know why I added each video. I think it would also be great to be able to discuss a video completely separate from the original poster’s YouTube channel. Although I know I will run across several great videos on Twitter and I have several already saved in my email folders, I should probably add, “Go on a great video hunt” to my weekly routine to find more. I think this channel could become a valuable resource. Further, I hope to upload my own someday. Oh, the possibilities! After seeing a plugin called, Lejit,* on several different blogs, I thought I would try it out for myself. This free plugin creates a search box that will search all content from my social networks. I have it set up to search this blog, my Twitter account, the TWRCtank’s page on Facebook, my YouTube channel, and my comments in Disqus. In order to see these results, you need to click on the “Content” tab. When you are on the “Blog” tab, it will just search this blog. Another great thing about Lejit is that it will also search my network when you are under the “Network” tab. I think that consists of all the people and websites in my sidebars. Originally after installation, it was only pulling information from my blog. I emailed them and they got back to me right away. It is now pulling information from my Twitter account, but it is not pulling from Facebook, YouTube, or Disqus. I just sent another email and I bet they will get right back to me again. Their customer service for a free plugin has surpassed my expectations. Thank you, Lejit! Oh, they also included images in my search results without me even asking. Pretty cool, huh? As I was writing this, I wondered if it can also include results from my YouTube channel and it can, so I added that as well. After I figure out how to use Diigo or Delicious, I can add that, too. I will greatly appreciate any time you can spend offering me feedback. I want this blog to be very user friendly. This entry was posted in Blogging, Finding Things on this Blog and tagged Blog Appearance, Blogging, Categories, Children of the Code, Commenting on this Blog, David Boulton, External Link Categories, Google Reader, Guest Posting, Jen Farr, Maggie Cary, Plugins, Polls, Reproducibles, Searching this Blog, Tag Clouds, Tags, TWRC, TWRC posters, TWRCing, YouTube. Bookmark the permalink. Julie, in a very short time you have developed your blog into such an amazing resource for educators, students and parents alike that I am wonderfully surprised! Great work I must say. Plugins and modules do misbehave at times but I am happy that you are taming them very well. Congratulations! Thank you so much for your words of encouragement. This has definitely been a labor of love. I am not sure if I am taming my plugins very well, but I am trying and hoping they do not misbehave too often. P.S. Thanks for making me smile! looks great, Julie! I cannot wait until I have more time to really examine your work and resources here–thank you for sharing on http://www.weteachgroup.com, and I can only imagine that the reason that not many people have given you feedback is because they're SO busy reading your work that they forgot to go back and leave you comments! You know how that can be! Thank you so much for taking the time to comment here and on the weteach Ning. Your comment really brought a smile to my face on a day when I really needed it. I look forward to getting to know you better, too. I know I can learn a lot from you. My understanding is that if you “pronounce” a group of letters (like radar, NASA, TWRC) instead of just saying the letters, that is an acronym. So the letters become recognizable as a word. No acronym can immediately become a “word” so, I would say you should leave the pronunciation and soon, if everyone TWRCs enough, it will be a word! Thank you for the recent email communication on this matter and for taking the time to post this comment. I LOVE it, Geri!!!!! I'm so glad you stopped by and made me TWRC. I really look forward to our next TWRCfest!